I used Traffic Travis, is that tool good ? Traffic Travis is a known SEO tool and seems to be used by many SEOs. 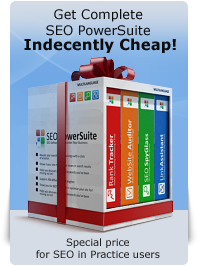 But from my personal perspective SEO PowerSuite tools are much more effective and convenient once you are dealing with Website Optimization and Internet Marketing. Follow what I understood, the Relevance is good if they made by human. How the Rank Checker software can make the relevance for keywords? Excellent suggestion of including the relevance factor. That always seems to be the linchpin of a word being worth marketing to. 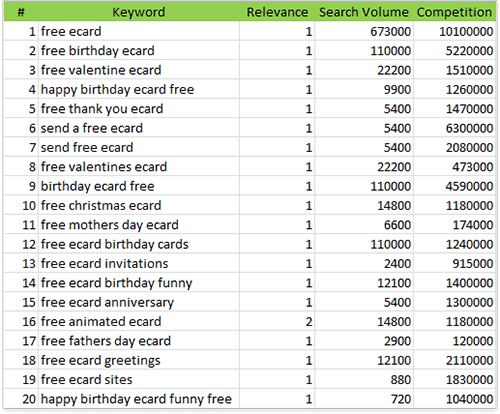 how i must estimation and know what is relevence of my keyword? i cant understand how you estimation relevence of your keyword. for example "buy healthy book" what is relevence of this keyword? “Relevance” is a relative factor, that shows how closely your keyword is related to the theme of your website. So it is for you to decide how closely the keyword fits the niche your website occupies and determine this metric. Relevance is the factor that you set yourself. It is for you to decide, if you really need this factor (since it is not a compulsory one)and it's value, because it is for you to know if this or another keyword is related to the service or a product you are selling on your site. Hi Dan I cannot find the option to add keyword relevance in the KEI calculation. Is it possible? Actually “Relevance” is a relative factor which defines how closely your keyword is related to the theme of your website and it is for you to determine this metric. That is why this factor is not taken to account calculating KEI in Rank Tracker. Would be nice if we could manually add this factor into RT. I have used the Google keyword tool to generate most of my keywords. Within that tool, it shows the 1. keyword 2. Competition (High,medium &amp; low) 3. Global Monthly sales 4. Local monthly sales. Will i stll have to physically type in every keyword into google one by one to get my competition numbers? Or has the word tracker been updated since you wrote this book so i wouldnt have to do all of that.. I have over 1000 keywords. 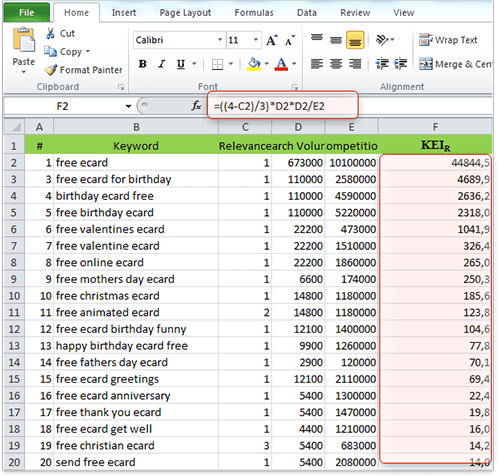 Those numbers are the competition levels in Google Adword Tool where 0.00 is the lowest competition and 1 is the highest. Please note, that these numbers can not be converted to the competition score you see performing the search in Google since is Google Adwords own metric.